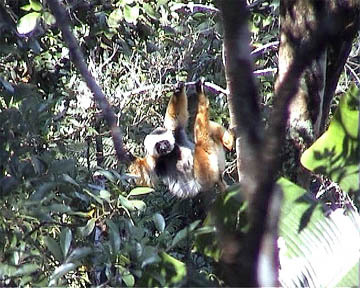 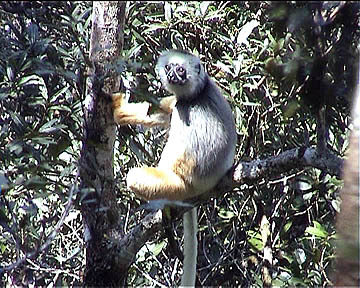 The diademed sifaka is one of the largest living lemurs with its weight of 6-7 kg and with a body length of about 50 cm (the tail is another 40-50 cm). 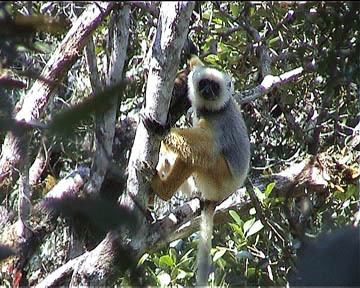 They can be found in the eastern rainforest of Madagascar where they are living in groups of 2-5 animals each on a 20 ha territory. 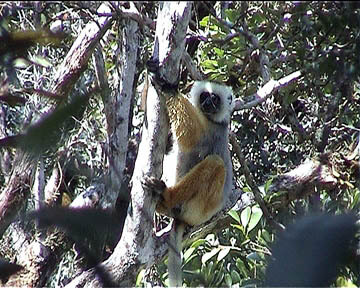 They eat principally leaves, flowers and fruits and live 25-30 years long.